Nature's form - Products - Natural health and beauty products your body can feel the difference! Do you struggle with an unwanted skin condition? Is your skin not smooth and desirable? Are you tired of using products with chemicals? Tried other black soaps but they were not user friendly? African Black Soap Ingredients: Palm Oil*, Cocoa Pod*, Palm Kernal Oil*, Coconut Oil*, Unrefined Shea Butter* (38%), Plantain Skin Ash*, Purified Water, Natural Vitamin E, Natural Sodium. Introducing our authentic raw African Black Soap by Nature’s Form from Ghana, Africa. Used for many skin conditions and in many skin treatments including Psoriasis scalp, Eczema, dry skin, skin lightening and whitening, Dermatitis and Acne. 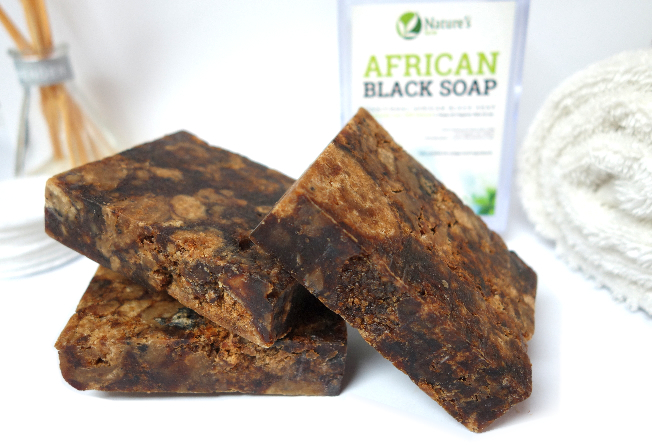 Use African Black Soap by Nature’s Form Now - your skin will feel the difference! Our buyers trust Nature’s Form as a brand that has high quality health products that can be trusted. We believe in ourselves so much that we have a money-back guarantee on all of our products. If after following our usage instructions you are not satisfied with our products, we will give your money back, no-questions-asked.